Uttaranchal :- the land of gods, the home of Himalayas and truly a paradise on earth, allures everyone from everywhere. The fresh air, the pure water, the chilling snow, the adverting mountains, the scenic beauty, Uttaranchal is a boon for the pilgrim tourists. The Maha Kumba Mela, the Char Dham Yatra and the Kailash Mansarovar Yatra give Uttaranchal an international recognizance. The major pilgrim places include Haridwar, Rishikesh, Kedarnath, Badrinath, Gangotri, Yamunotri, Devprayag, Nandadevi and Purnagiri. Uttaranchal is a paradise for nature lovers and adventure sports, enthusiasts. 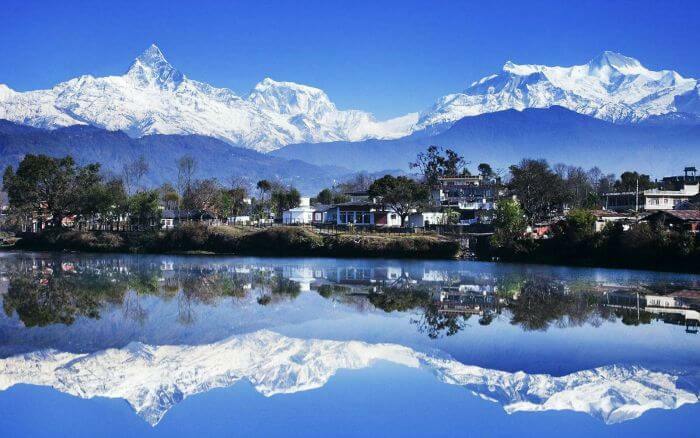 Mussoorie, the ‘Queen of Hills’; Nainital, the ‘Lake District’; Kausani, the ‘Switzerland of India’; Ranikhet, Pithoragarh, Pauri and Munsyari are just few highlights for the nature lovers. The State is also a treasure house of exotic flora and fauna and is an ideal location for eco-tourism, as well as wildlife tourism. The world-famous Jim Corbett National Park is the pride of Uttaranchal. Nainital, hill station situated in the picturesque Kumaon region is situated around the lake Naini. Seven mountains or the Sapta Shring surrounds the city. Apart from its scenic beauty Nainital is famous for its scented candles. The hill station offers a wonderful holiday retreat from the hectic routine of the cities. The high-rising Himalayas, the tree-covered hillsides, beautiful walks and enchanting lakes mesmerize all the tourists who visit Nainital. Though overcrowded in summer, exploring this tourism resort in the off-season can also prove to be an interesting holiday. Travel to Uttaranchal to view the Snow View, a popular vantage point that offers an excellent view of the northern Himalayan ranges. The Naini Peak is a popular picnic spot and offers a panoramic view of the Nanda Devi and the mountains on the Tibetan border. Hanuman Garhi has a small temple dedicated to Lord Hanuman. The State Observatory is located near Hanuman Garhi on the top of a ridge. Your journey for the state of Uttarkhand starts from Delhi; it takes around 6 hrs. drive up the hill. On reaching, you can check in at the hotel or go for a walk and sightseeing close by. You can enjoy the boat ride at the Naini Lake and collect some souvenirs. In the evening you return to the hotel, have dinner and go off to rest. Nainital has many tourist attractions and beautiful picnic spots in and nearby. Right after breakfast, you can begin to explore the place. Visit the Hanumangarhi temple, having a beautiful picnic spot; visit the three nearby lakes of Bhimtal, Sattal and Naukuchia Tal. All of them offer a great view of the surroundings and you can enjoy the boat rides here. In the evening, return to the hotel, for overnight stay. It is time to leave, the hills of Nainital. Check out from the hotel in the morning after breakfast. It takes around 4 hours to reach the next destination of the Corbett National Park. You check in at the hotel and after a little rest embark on the evening safari in Jim Corbett National Park or can relax for the rest of the day. ( Jeep Safaris in National Park Of your Own)Dinner and overnight stay in hotel.